When is the last time you did something nice for yourself? Book an in-home Zeel Massage today and enjoy ultimate relaxation from the comfort of your home or hotel in Pompano Beach, FL. A massage therapist will come to your Pompano Beach home, hotel, or office in as little as an hour, or schedule in advance. Relax and recuperate with a spa-quality massage in the comfort of your Pompano Beach home. There are over 9,000 massage therapists in the Zeel network nationwide. Here are a few that are available for in-home massages in Pompano Beach. 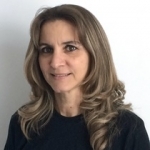 Licensed massage therapist Juana has been practicing since 2012, after moving to Miami from Venezuela. Trained at the Praxis Institute, she has experience in medical massage and spa services. Juana speaks both English and Spanish, and is experienced in Swedish, deep tissue, lymphatic drainage and sports massage. Licensed massage therapist, Angela Conti brings relaxing and therapeutic massage therapy to client homes throughout the Miami area. A graduate of the Acupuncture and Massage College in Miami, Angela works as a therapist at Ocean Drive Spa in Miami. Angela's practice utilizes Swedish massage, shiatsu, sports massage, reiki, and reflexology. 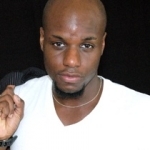 Licensed massage therapist James has experience in both the medical and spa industry. Having practiced at both Silver Star Health and Spa-Nique in Orlando, James is excited to bring his talents to the South Florida area. He is experienced in Swedish, deep tissue, and shiatsu massage, acupressure, and trigger point therapy. Zeel mobile massage adds even more value to Pompano Beach, “the Heart of the Gold Coast”, where you can order a massage to your home, workplace, or hotel from your smartphone. No need to travel to Palm Beach or Miami for a high-quality massage. We bring it to your doorstep - right in Broward County. What better place to order massage then in an active city full of water sports, parks, and shopping possibilities? Zeel on demand massage brings the requisite blend of efficiency and comfort right to your fingertips with the best massage in Pompano Beach. Time to pull out your phone and book a mobile massage in Pompano Beach, FL. Enjoy the luxury of mobile massage 7 days a week, even on holidays, from 8am to 10:30pm. Zeel Massage Therapists are always on call in Pompano Beach for Swedish massages, deep tissue massages, prenatal massages, or sports massages. Book a massage for yourself or schedule a couples massage for today, or for up to 30 days from now. A Zeel massage in Pompano Beach is more than the best massage you will ever have—because it is also the easiest. Book a Zeel Pompano Beach Massage On Demand today. Zeel provides Swedish massage, deep tissue massage, prenatal massage, sports massage, couples massage, and chair massage in Pompano Beach.